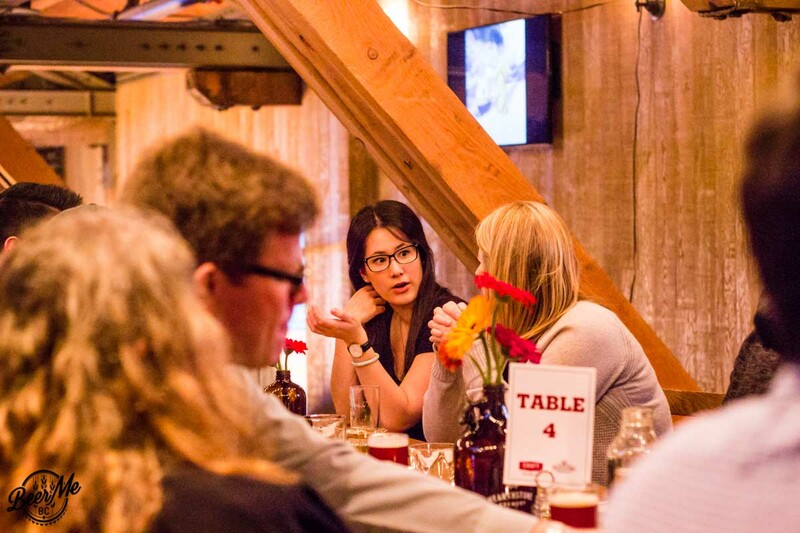 As with previous Brewmaster’s Dinners at Craft Beer Market the event was well organized, and the food delicious. Most events in these series sell out quickly and the most recent event with Hearthstone Brewery was no different. 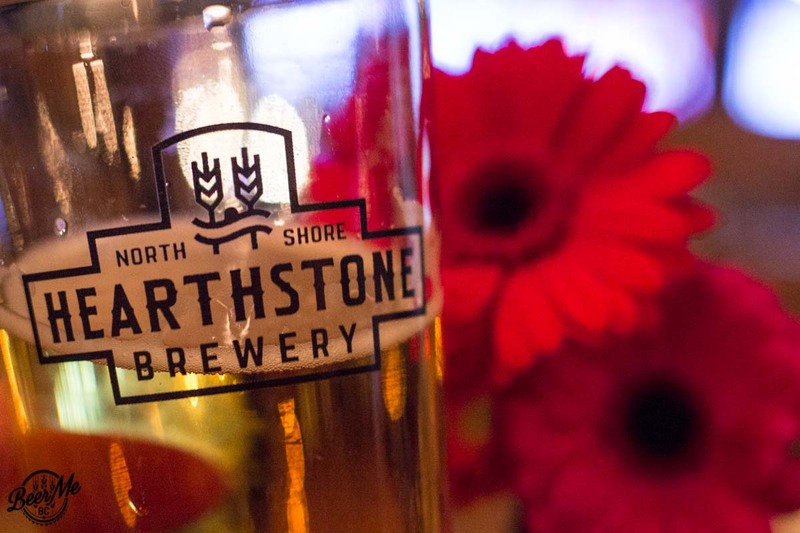 For a modest investment of $60, guests were treated to a welcome pint of Hearthstone Pilsner to help grease the social wheels before the main event began. 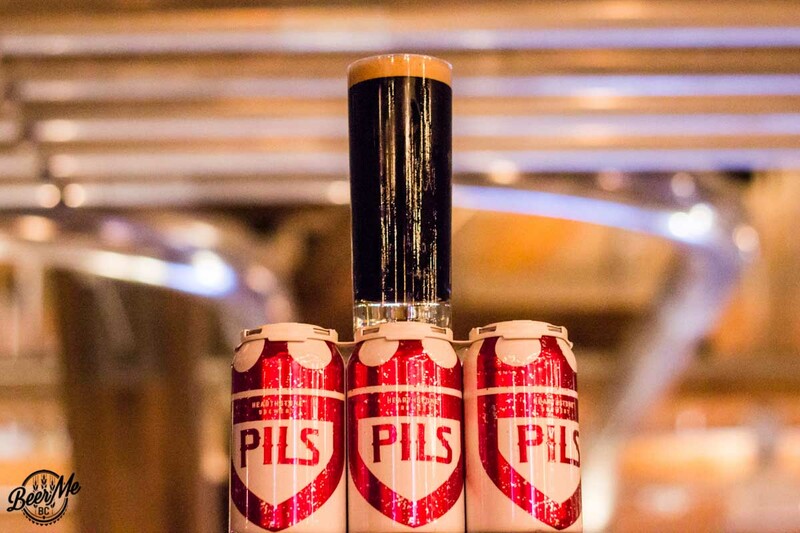 This classic, European-inspired pilsner was a great way to get acquainted with the brewery and the people who assembled to enjoy their beer paired with delicious food. 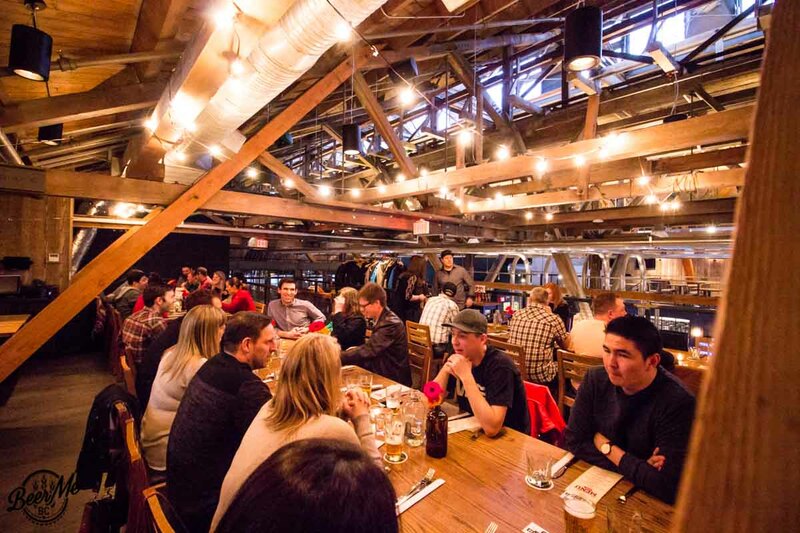 Everyone was hosted in one of the cozy upstairs seating areas in the Olympic Village location that provided a great view of the restaurant and an opportunity to chat with their neighbours. 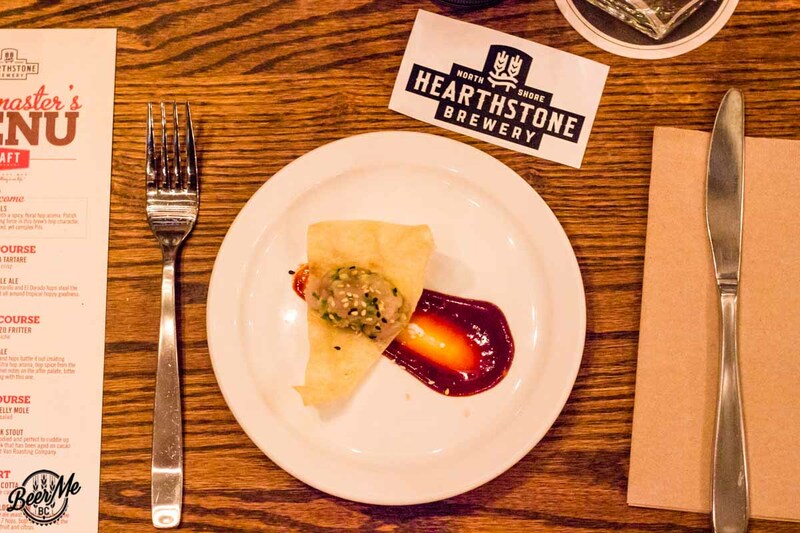 Each of the four courses was accompanied by a tall 12oz glass of Hearthstone’s beer, lovingly paired with delicious creations by Craft Beer Market’s kitchen. 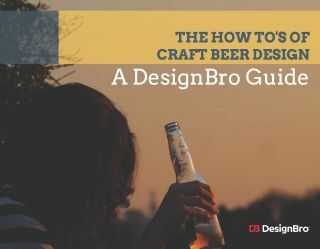 In a couple of cases, the beers were rather unexpected choices that proved to be inspired creations in their own right. The initial appetizer was a tuna tartare with a crispy wonton, and a soy sauce, chili and peppercorn reduction that made the dish. Paired with Hearthstone’s IPA this was the ideal introduction to the evening and showed what guests were to expect from future dishes. The floral and citrus notes from the IPA helped to cut through the spice of the sauce and the richness of the tuna, creating an excellent flavour combination. The evening’s second course came while many of the guests were still contemplating the delicious sauce from the previous dish. 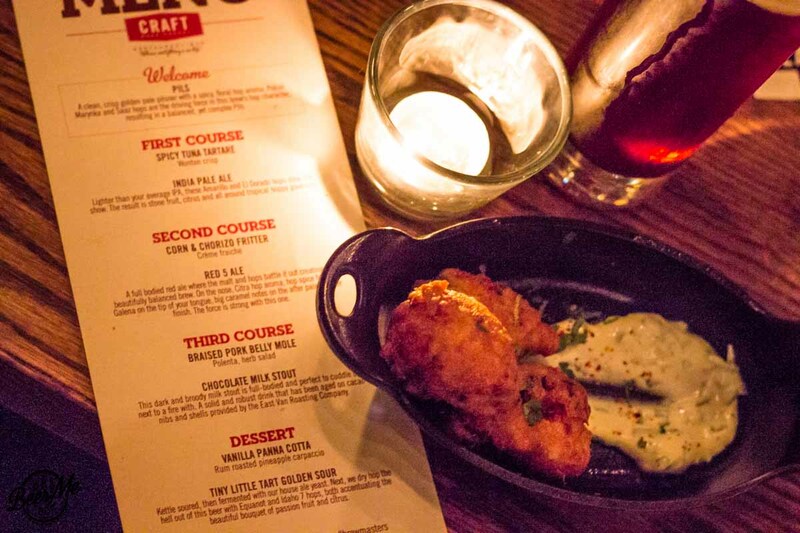 They were presented with three corn and chorizo fritters paired with Hearthstone’s new Red 5 Fed Ale. The puffy, sweet and spicy fritters melded well with a malty and crisp Red Ale from the brewery. Even with three fritters there seemed to be too few to make the course completely satisfying. Nonetheless, the pairing between food and beer was on point (though maybe not quite as good as the previous pairing that was still on the minds of many guests). The main course for the evening was the pork belly and arugula salad with mole sauce paired with Hearthstone’s popular Chocolate Milk Stout. Not only is it uncommon for chefs to pair stout with a main course (this beer is so often reserved for desserts), but also by coupling the milk stout with the mole and grilled pork brought this dish over the top. 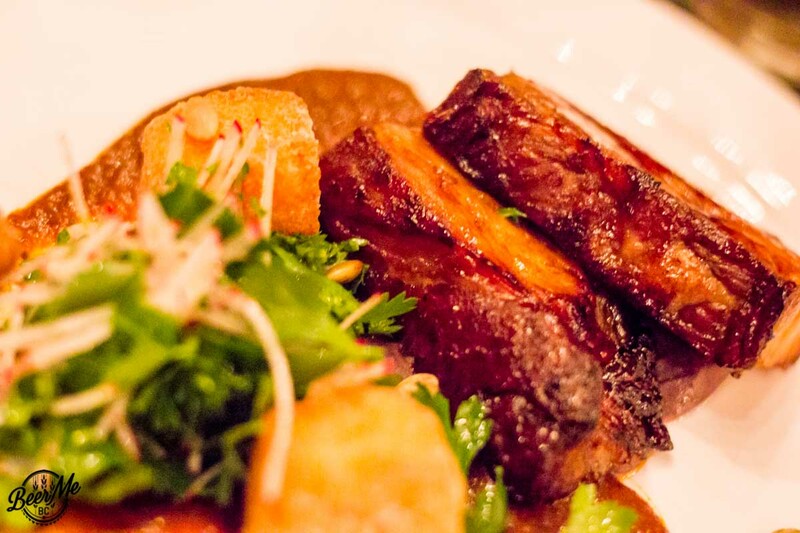 The creamy and chocolatey stout melded with the richness of the grilled pork belly as the meat melted in the mouth. Combine this exquisite meat with a chocolate mole sauce and chocolate milk stout, and that richness was increased four-fold. This was a match made in heaven and certainly took the mind off the initial tuna appetizer. Finally it came time for dessert and guests were treated to yet another unexpected combination: a kettle sour paired with panna cotta. When hearing that these would be paired together many guests were skeptical but there was also excitement for what would be brought forward. The chef’s earlier creations had instilled confidence in what was to come. 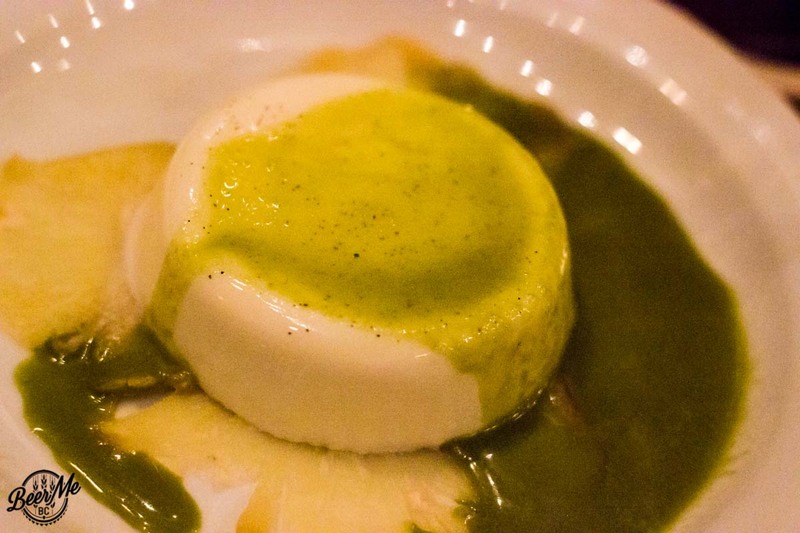 Hearthstone’s sour was subtle and fruity, but paired with creamy panna cotta, plus rum pineapple, and caramel sauce brought an already fruity and tropically-flavoured beer to an entirely new level. 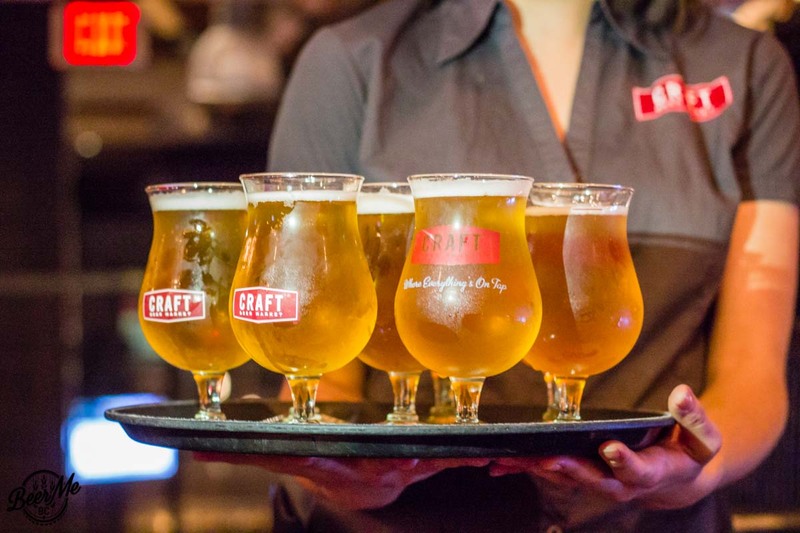 The brewmasters Dinner series at Craft Beer Market sells out regularly, which should already help you understand that the events are great value for money. Be sure to try and attend the next one – they are held once per month – you’re sure to walk away happy. 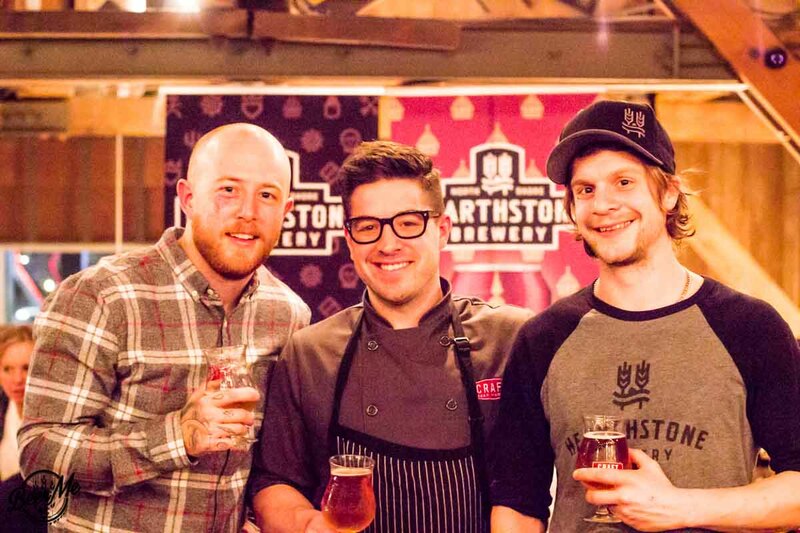 As for Hearthstone, they expect to participate in future Brewmasters Dinners at Craft Beer Market to be sure. 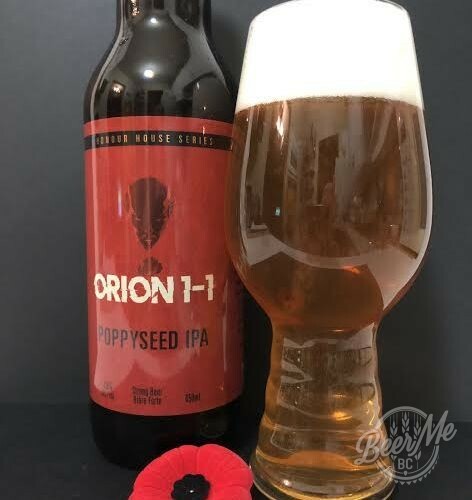 However, as a restaurant in their own right, expect that the brewery will begin offering their own take on the Brewmaster’s Dinner at their North Vancouver location sometime soon. 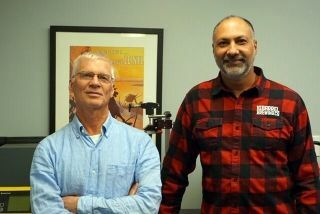 When that happens you know that we will be there to find out just what the brewery and their chefs come up with.